Try the ultimate power Warriors Dragon Ball in our game Super Dragon Ball offer you free. The player will be forced to fight all the characters in Dragon Ball Super versus mode. You can play in story mode or versus mode for 2 players. Put approve the skills of Dragon Ball Super protagonists in this game of 2 players. 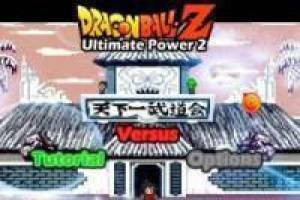 Enjoy the game Dragon ball Z ultimate power 2, it's free, it's one of our goku games we've selected.